I downloaded the trial version of your driver this morning and am really excited about the prospects. I’ve installed it and am able to get the fields and tables to appear in VB Demo, but I am not able to connect using FileMaker Pro. 1) Open FileMaker Pro & click on Browse button. 2) Please select the ODBC data source. 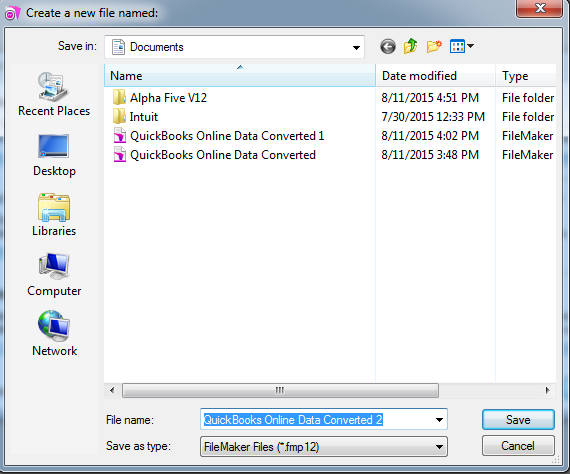 3) Please select the ODBC data source "QuickBooks Online Data" & click on "continue" button. 4) Please enter username & password for ODBC data source. If you have not defined any username & password, then just click on "OK" button. 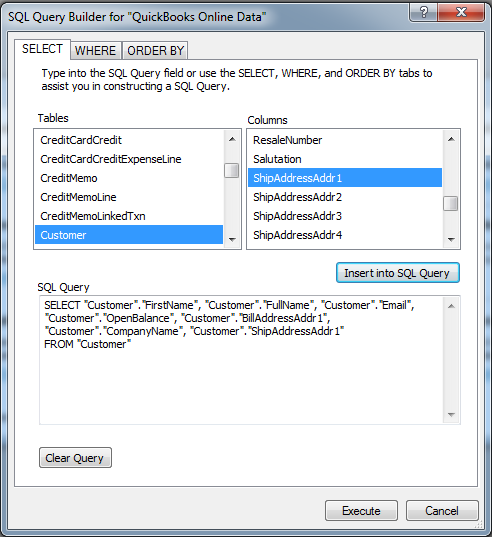 5) Select tables & columns which you want to use, then please click on "Insert into SQL Query" & "Execute" button. 6) Save result & you can see results.